This site is for all modelers and collectors with an interest in vintage Matchbox plastic model kits. It is dedicated to the memory of the founders, engineers and illustrators who made these wonderful kits come to life. Use the categories on the left to browse through the various ranges of kits. The search box is handy to find information about specific kits or models. Besides browsing the pictured information of each of the kits you may also find it useful to look through the original catalogues which have been listed by year. Matchbox kits originated in 1972 when Jack Odell and Leslie Smith, the management of Lesney Products & Co ltd, decided they wanted a share of the plastic model kits market. This is where Maurice Landi, a keen aircraft person, came in. Lesney management hired him to design a range of Matchbox plastic modeling kits. It was his job as project engineer to come up with subjects which could be found, measured and photographed. In other words those aircraft which he had access to. When he had prototypes made up by their own staff, they would be presented to the owners Odell and Smith. Lesney management would decide under his advice and give him the budget to realize the kits. To provide attractive packaging Roy Huxley was hired as illustrator to draw the box-art for the kits. Later other illustrators, Doug Post, Ross Wardle and Ken Rush, also worked on some of the Matchbox kit packaging. The majority of illustrations however remained to be drawn by Roy Huxley. The early years - The first appearance of Matchbox kits was in 1973 when they appeared in the Matchbox Collectors Catalogue. The main range of Matchbox toys were die cast model cars. The first plastic model kits were a range of twenty aircraft in what was to be known as "the purple range" numbered PK-1 to PK-20. From the start Matchbox kits were designed to be attractive to the younger modeler by casting them in multiple colors. Already in 1974 the plastic model kit range had grown so much that a separate catalogue appeared "Matchbox Kits Catalogue 1974-75". In a few years time the model range had grown to over 30 models in the two-colored purple range and extended into many other ranges of larger aircraft and ships and vehicles as well. The majority of the aircraft kit ranges were molded in three colors. This gave a good looking appearance even when the model was finished without painting. Each model was molded in a set of colors that was chosen to give an appearance as realistic as possible in this way. Expansion and recession - In 1979 Lesney bought AMT, after which we saw combined AMT/Matchbox catalogues appear. Several attempts were made to integrate the ranges. A recession in the UK brought a less fortunate period for Lesney. On September 24th, 1982 the Matchbox kit range was taken over by Universal Toys, a Hong Kong based firm owned by David Yeh. The Universal Group bought Matchbox Toys Ltd. and the marketing companies for France, Germany and Australia for 16.5 million pounds. In Hong Kong a holding company was formed for them, called Matchbox International Ltd. Later Universal Matchbox Group. David Yeh engineered this takeover of UK-based toy manufacturer, Lesney (Matchbox) Group. Those days, it was almost unthinkable for a Hong Kong based manufacturer in a British colony to take over a star enterprise in the UK. This however, was only the first in a series of takeovers. Part of this info was shared by Ted Taylor, IPMS UK, who knew Maurice Landi personally. Thank you so much for filling many gaps in our knowledge! 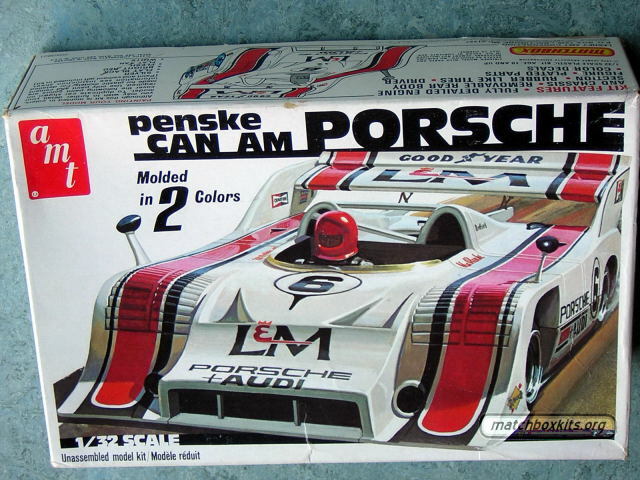 Matchbox as a brand name for plastic modeling kits has gone through a couple of curves. The classic British period practically ended with the receivership of Lesney. The Universal period still added kits that extended the ranges in the same Matchbox spirit. We do focus on the kits that were released under the Matchbox label. For a couple of years Lesney owned AMT and both ranges were joined. AMT kits however are regarded out of scope for this reference. For a brief period original Matchbox kits have been sold in the US under the AMT brand. We show a just few examples of these and provide more detail in our catalogue area. Multi-colored Matchbox kits have been produced up to 1990, but Revell continued the range and revamped it during their ten year lease period. This neatly sets our ultimate boundary as this is the event horizon for plastic modeling kits issues under the Matchbox brand. In 1991 Revell bought the molds for the whole range of kits and got a ten year lease to use the Matchbox brand name from 1991 up to 2001. See our guided tours section for more details. 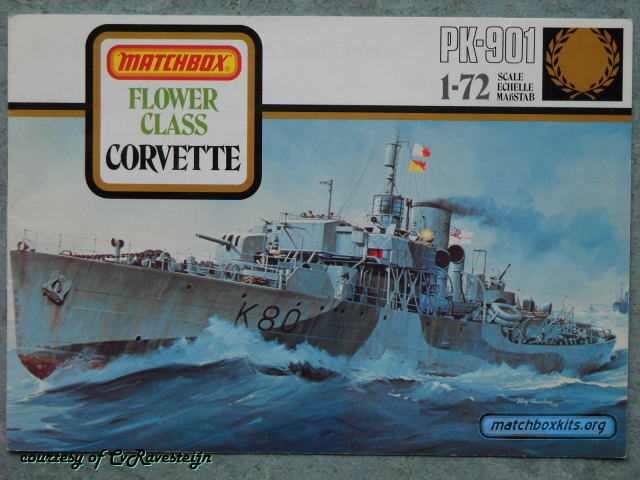 Under Revell-Matchbox you find all kits released in this period. After 2001 a number of the Matchbox kits have been released under the Revell brand. You will likely see a number of these models to be available in your local shop right now. Notice that some of these kits have been remodeled since or released with new decal sets. From a pure modeling perspective these kits may even be preferable to the serious modeler as having the whole kit supplied in one color will make it easier to obtain a homogeneous paintjob. Vintage Matchbox kits can be found on auction sites like EBay where your fellow modelers, who likely have huge stashes of unbuilt kits, offer them to the highest bidder. Tip: use the Quick Find box to quickly find all variants of kits made for a specific aircraft. For example search for "spitfire". Press the looking glass to list all kits that match your keywords. So if you're puzzled what layout variations existed for a kit, look no further but use the search with a particular PK-number to list all variations for that kit. For searches on the lower PK numbers please add leading zeroes like in "PK-008" or "PK-041". If you want to include Revell reissues as well use a query like "PK-122 or 40122". This does not yet list all the exotic numbers for similar or revamped kits in the Revell range, so then you may want to revert to a query on the title like "F-16". After considerable beta-testing, we're happy to present our AutoPilot, a new feature on our site that is a bit less serious than most of our research in Matchbox kit history. Over the years so many pictures of built models have been added to the various pages that we deemed it time to add a viewer to just watch pictures of built models. Thanks to a few scrapyard panels and a few old but sturdy switches we were able to tinker a control panel that will allow you to select sections from our database to include or exclude. And the viewer can be switched to boxart as well. You can also control the pace, jump randomly or pause for a break. Switch it any way you like! Time for a small update. It's been a while since our last update. Meanwhile contributions kept coming in. We're happy to share these now, of which some are long overdue. This update also became possible by improving the compression on the larger files on this site, freeing up enough filespace for the new contributions to fit. Purple range aircraft kits - We have an inbetween package variation for PK-122, a nice find by Marco Brink. Also with his help, we now have improved pictures of the boxart of PK-34, the Curtiss Helldiver. We added a picture to PK-27, The Hawker Siddeley Hawk, regarding the variations with and without window at the back. Courtesy of Asoka Indrasoma. For PK-130, the Tornado F3, and PK-412, the Phantom FG1/FGR2, instruction sheets have been added in PDF format, courtesy of Richard Mills. For PK-121, The Fairchild A-10A Thunderbolt, several pictures of a nice build by Akira Shiomi have been added. Orange range ships kits - PK-161 to PK-165. For the Admiral Graf Spee, USS San Diego, HMS Tiger and USS Indianapolis we have added box variations with smaller and larger windows at the back. These are shown at the end of the series of pictures for each kit. Courtesy of Dirk Ommert. Figures (Yellow range) - Matchbox figure kits were identified by a P- number instead of PK-. We correct this slip of the keyboard in this update. So now you will see the correct identifications under the yellow ranges. Meanwhile Dirk Ommert provided boxart pictures for P-5001, P-5002, P-5003 and P-5005. Catalogues - With the help of Miguel Duque we finally could add the English version of the 1977 Matchbox catalogue. Recollections by Derek Stowe on the packaging history of Matchbox kits have been added to Guided Tour nr 1. A little mystery on PK-401 Heinkel HE115 is discussed in Guided Tour nr 13. This brief tour encourages to do some research before taking a version as depicted on a decal sheets for granted. Airfix Magazine Reviews: A couple of early reviews of Matchbox kits in Airfix magazine as shared in PDF format by Asoka Indrasoma. The Thirty Year Prank: Tim Harris shares a story on a prank that was pulled after he had worked on a model for the 1978 catalog. 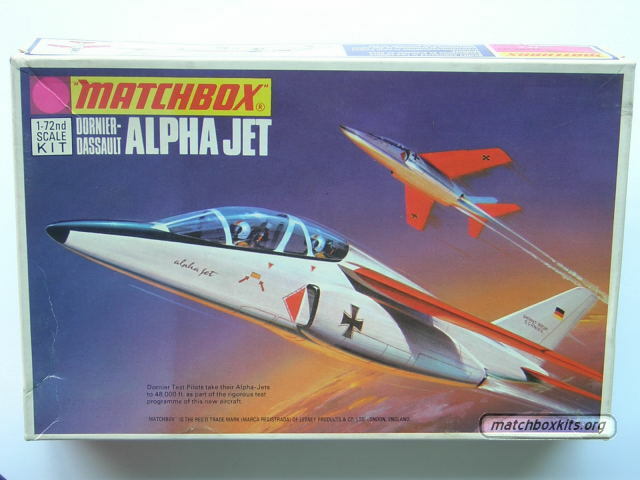 YPS: Matchbox kits show up in the strangest places, this contribution by Dirk Ommert depicts the Alpha Jet as a gimmick enclosed with issue nr 119 of the German Yps youth magazine. In the red range automotive series we have added pictures of kits built by Nigel Langridge. With the help of Roy Huxley we have been able to identify for many kits the artists who drew the boxart. In some cases the artist signature is a dead giveaway, but others are not so obvious. The vast majority of kits from the Lesney and Matchbox International era now contain unambiguous references. Derek Stowe was so kind to contact us and clarify the origins of the "Impulse Puzzles". Please visit guided tour number 8 to read the Impulse Puzzles story. We have recently been in contact with Roy Huxley about his current endeavors. See our guided tour number 11 on recent artwork by Roy Huxley. The 1974 and 1976 Japanese Catalogue editions - contributed by Akira Shiomi. Type 2 box variations with small windows for PK 7 Lysander, PK 24 Buffalo and PK 25 Siskin - contributed by Petr Hayek. The collection of "Action Puzzles" in guided tour 08 has been extended thanks to Steve Brown. Pictures of "Kit Pak" packaging have been added to several purple range kits in the Revell-Matchbox section. Special 09 has been extended with several examples of German and UK variations - thanks to Dirk Ommert. A few more plates with artwork by Roy Huxley in guided tour 11. Some of the subjects will be nobrainers for you, but can you distinguish each and every aircraft's make and model? The Matchboxkits.org site now has it's own icon that will appear with the bookmarks you create - thanks to Mario Wens. Catalogues - the English version of the 1979/80 catalogue and improved pictures of the English version of the 1982/83 catalogue. Many thanks to Asoka Indrasoma. Aircraft - instruction sheets for PK-29, PK-41, PK-126, PK-128, new variations on the PK-19 Mikoyan MiG-21 and PK-29 A-4M Skyhawk that show how gradual the changes in box type and design took place. The ex-Otaki 1 TO 48 scale range - We have added pictures and instruction sheets for all four kits in this range from PK-460 to PK-463. Specials - A special last run of the Mirage IIIB for an Italian magazine in 1995 by Revell and a limited edition of the BAC 167 Mk.80 Strikemaster issued by Revell in 2011. The latter was made for the special occasion of the 40th anniversary of the Dutch IPMS and the 10th anniversary of the German DPMV. Catalogues - the English versions of 1974 and 1982/83 catalogues; the first Matchbox International Catalogue of 1983; dealer versions of the 1982 and 1983 catalogues. Ships - we finally got hold of the instruction sheets of the PK-901 Flower Class Corvette. Aircraft - an interesting variation of the 1976 issue of the PK-29 A-4M Skyhawk, the earliest packaging that shows two USA colour schemes. Also interesting is what happened to the PK-117 Hawker Hunter when the colour scheme was changed to include a "Blue Diamonds" display team version. An intermediate version of the boxart shows the "Aerobatic Teams" emblem but still with the camouflaged aircraft on the box. For the PK-503 Dauntless we added a nice build that shows what can be achieved from this kit. Armour - We are happy to add an excellent build for each and every armour kit in the Lesney ranges. It makes it almost hard to believe these are in 1 to 76 scale. Special issues - Kits marketed as "Exclusiv modell", kits with free glue, "Super Value" kits, "Tesco Twin Packs", "Kit Paks", gift packs, paint packs and the PK-1001 Counter Attack playkit. We have added several small improvements and updates. For some of the exotic kits added during the Revell-Matchbox period we have been able to trace the origins: see kits 40143, 40147, 40148, 40200 and 40201. PK-310 Citroen Legere in its initial type 3 packaging. more to see in the guided tours section. For the kits from non-Matchbox origins that appeared during the Revell lease period we would like to clarify and validate the actual origins of the kits. If you have both the Matchbox kit and the kit as issued by its initial manufacturer we sure would like to see pictures comparing both sprues. Please drop us a note in the 'Contact Us' section if you can help us out! We have added a separate section on Revell's ten year lease period. All kits released with a 40000 number belong to this period. This section shows the appearance of box type 7 among continued kits with familiar boxart. The type 7 boxes were only introduced when changes were made to the kit contents, often specifically the decal sheets. On the former box designs there was just the change to a 40000 number and the addition of a "Gr�ner Punkt" recycling symbol that was introduced in 1990. Note that the Copyright dates were just left unchanged compared to the original box designs. Many thanks to Dirk Ommert for the pictures and research provided. A box type classification has been added in which we distinguish the major types of box layout. Thanks to Mike Dean for a fruitful collaboration! Some categories have meanwhile been adjusted on the site, PK-20 does seem to have appeared only on the second batch! If you have new information on things we missed out on or mixed up please contact us. The guided tour section had a new wing built to our museum in which we show some of the work of Roy Huxley from new angles. We have a few new AMT packaging variations: the Mig-21 and the P-40 Warhawk. A short guided tour has been added on the topic of gift packs. We have new variations of packaging on display for PK-81, PK-83, PK-28 and PK-35. Also we have an example of AMT packaging of the U.S.S. San Diego. A whole new category has been added for the purple aircraft range that we somehow completely missed out before... The 1980 reissue boxes came with free patches on the back. More interesting they contained completely new boxart, at least for some of the kits as we now have on display. Surprisingly this artwork does not reappear on later reissues by Matchbox International. Issues from 1983 and later reverted to the boxart that was familiar before this 1980 reissue. Perhaps a copyrights issue (who knows?) or the new owners may have preferred the earlier work by Roy Huxley. This will take out the guesswork incase you lost the paperwork. Added a guided tour on the whereabouts of the Matchbox brand name in the nineties when licenced to Revell. Here you find some fascinating details about this period. Based on first hand experiences, drawn up by Dirk Ommert. English catalogues added for the years 1986 to 1989 that surprisingly show differences with catalogues issued in other languages. Courtesy of Tony Benstead. A whole collection of Matchbox catalogues has been added. These complement our range of catalogues well into the nineties. A number of gaps that we had in the eighties range have now been closed as well. Courtesy of Dirk Ommert. Many thanks to the support by the Classic British Kits SIG, operating on the Unofficial Airfix Modellers Forum, and their fabulous PK-2008 project. Besides the many pictures that have been offered generously by the builders we have many pictures taken at Telford by Oliver Holmes. Our aim to collect pictures of built kits has therefore been coming along nicely. We are now able to show a variety of painted and unpainted models with the listed boxart. In our guided tours section a topic has been added to show an overview of the PK-2008 display as it was seen at Scale Model World, November 15 and 16 2008 at Telford UK. Our virtual shelfspace has been significantly expanded. And our traffic limit has expanded likewise. That means we are adding more pictures to the site. We have included pictures of sprues, instruction sheets and decals for many kits. The catalogue range has been expanded extensively, ranging to the AMT/Matchbox merger up to the last catalogue produced under licence by Revell in 1998. During the summer of 2008 quite a few AMT-Matchbox kits arrived from the USA. Which allows us to show some more of these package variations that originated around 1979. Check out the category Aircraft/AMT-Matchbox! For a complete overview the 1979 and 1981 AMT Hobby Kits Catalogues have been included in the catalogues area. The range of Armour kits has been added. Also some pictures of built aircraft. The launch of the site after three years of ideas and preparation! The first content contained a range of catalogues and almost all Matchbox aircraft kits. Let us know what you think. Do you like the site? Use the Contact Us form to send us your input. Much appreciated! I hope you enjoy this site. This site is running on osCommerce version osCommerce 2.2-MS2.